Lake Garda in northern Italy, the country's largest lake, is renowned for its first-class resorts and picturesque settings! All photography in this post via WikiMedia.org. My love affair with the Italy's Alpine region continues with a visit to Italy's Lake District, and this time we're going on a scenic tour of Lake Garda! Cradled in the Italian Alps just south of the Dolomites Mountains and midway between Verona and Brescia, Lake Garda is surrounded by picturesque villages lining its shores, soaring Alpine peaks, verdant olive groves, sprawling vineyards and medieval castles towering high above the villages. Renowned for its world-class luxury resorts and breathtaking scenery, Lake Garda is just 40 minutes away from Verona and Brescia and approximately two hours from the timeless city of Venice. If you're planning to visit any of these northern cities, then consider a day tour through Lake Garda! Check out Exsus.com for more information. Lake Garda as seen from the top of Monte Baldo—Riva del Garda is to the far right and Sirmione to the left. Italy's largest lake, Garda extends approximately 32 miles from its northernmost resort town of Riva del Garda to Peschiera del Garda, the most picturesque village of all on its southern shores. And, extending two miles from its south shore is the sublime Sirmione peninsula—a must-see stop on our tour as well as yours. Our journey begins in the north and travels south along the west coast, along its southern ports and back up the east for a complete circle-tour of Lake Garda. Riva del Garda or Riva is the northernmost village on Lake Garda and well known for its beaches, resorts and water-sport adventures. 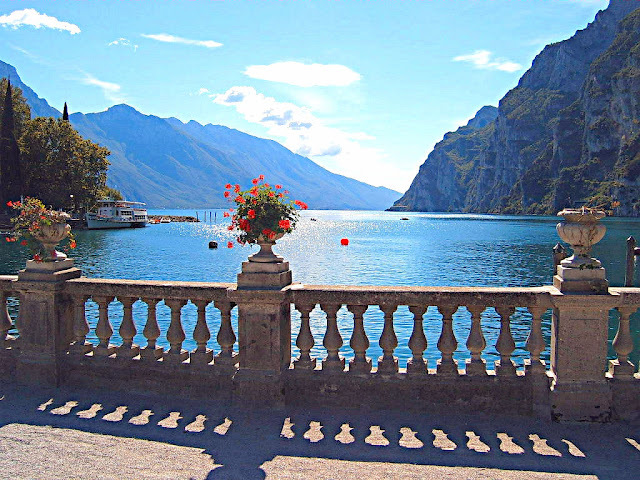 Our travels begin at Lake Garda's northernmost point—Riva del Garda or simply Riva. The largest and most popular resort village on the shores of Lake Garda, Riva is world-renowned for its water-sport adventures, pristine beaches and first-class resorts, and despite its status as the "largest and most popular," you never feel overrun by the throngs drawn to other tourist-laden cities. Sublime views are yours for the taking in Riva at Lake Garda in northern Italy. Offering some of the most spectacular views of Lake Garda and the surrounding Italian Alps to the north, Riva is steeped in the history of the Austro-Hungarian Empire and survives today as testament to its plagued wartime past. History buffs will revel in the landmark sights that include: Rocca, a medieval fort dating back to the 12th century that houses the civic museum, art gallery and various historical exhibits; the 16th-century Bastione fort is home to a museum and restaurant with sweeping panoramic vistas of your surrounds; and the 13th-century Torre Apponale or Apponale Tower with its 165 steps to even more jaw-dropping views! Seek out the Santa Maria Assunta church with its baroque interiors; and the San Tommaso church, a 12th-century edifice that features a spire-topped bell tower and 14th-century frescos on its exterior. And after all the hustle and bustle of the major sights, find a nice patch of sand on Riva's spectacular shoreline to kick back and relax. Panoramic view of Toscolano-Maderno at Lake Garda, Italy. Moving along the west coast of Lake Garda on our grand tour, we land in Toscolano and Maderno built upon the Toscolano River delta. If you're a Roman-history buff like me, you're going to love the 16th-century Church of San Pietro e Paolo where inside you'll discover two memorial plaques dedicated to the Roman Emperors Lucius Septimius Severus and Marcus Aurelius Claudius! Plus, don’t miss the Sanctuary of the Madonna of Benaco church, an 11th-century basilica built upon an ancient temple to Jupiter and the oldest place of Christian worship in the Lake Garda region. If you're planning on some hiking in the Valle delle Cartiere, stop by the 14th-century paper mill that once supplied paper to the Venetian printers during the 15th and 16th centuries. 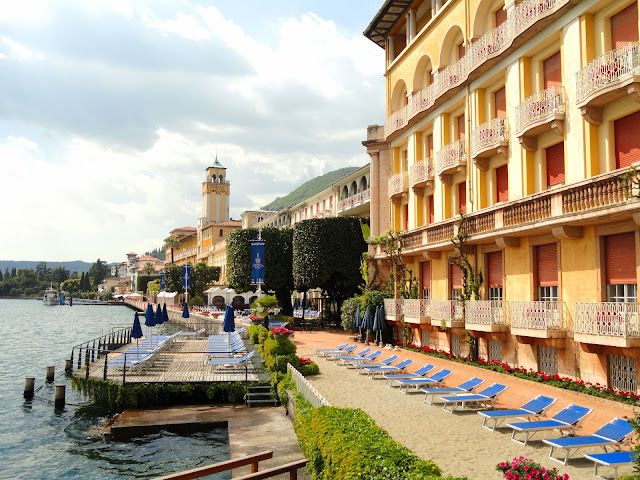 Magnificent lakeview exterior of the Grand Hotel Gardone along the shores of Lake Garda. Just to the south of Toscolano is one of Lake Garda's most popular tourist destinations, Gardone Riviera. 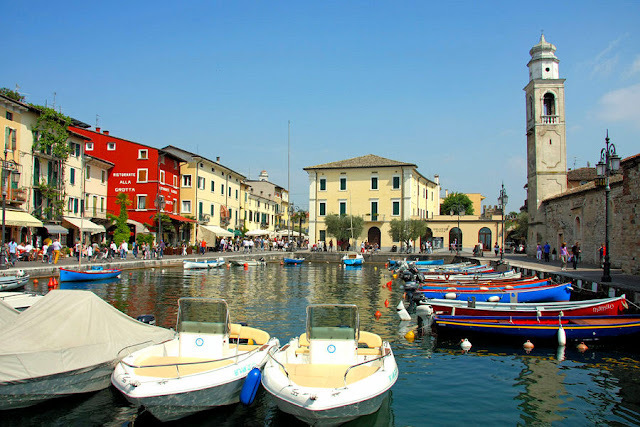 Actually, it's comprised of eight villages with picturesque promenades, piazzas extending to the lake, and quaint village streets offering visitors one sublime setting after the next along Lake Garda. 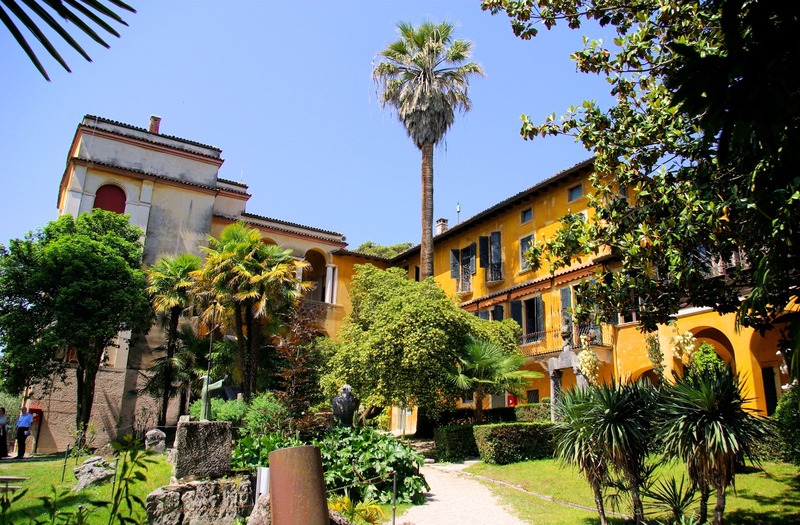 But Gardone Riviera is mostly known for two popular sights: Il Vittoriale degli Italiani and the A. Hruska Botanical Gardens. Il Vittoriale degli Italiani in Gardone Riviera. Il Vittoriale degle Italiani was built by Italian poet and war hero Gabriele D'Annunzio. The striking yellow-ochre residential wings are quite stunning to behold and the site offers many attractions including the Arco dell'ospite or Guest's Arch, the Piazzetta della Vittoria del Piave or Plaza of the Piave Victory, and finally the Greek ampitheater with spectacular views of Lake Garda to the south. Don't miss Dalmatian Plaza or Piazza Dalmata, or D'Annunzio's private home, the Prioria or priory. The Il Vittoriale degle Italiani museum is housed in a building originally intended to be the poet's residence but he never lived to see it completed. Named after Arturo Hruska, the botanical garden is just a short walk from the waterfront promenade. He designed and built these lavish gardens between 1910 and 1971 and today, it's owned by a foundation set up by Austrian artist, author and actor Andre Heller who has a temporary residence in the garden as well. Be sure to stroll along the scenic paths leading to picturesque settings, streams and a few modern art sculptures you'll discover as you meander through. The extravagant Venetian-Gothic manor—Villa Borghese-Cavazza—is located on the private island of Isola del Garda. Continuing our tour south along the western shore, we must stop by the Isola del Garda, the largest of Lake Garda's five main islands. 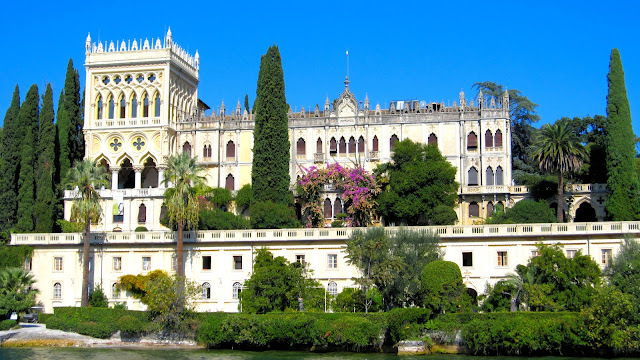 Privately owned and inhabited by the Borghese-Cavazza family who built the stunning Venetian-Gothic villa at the beginning of the 20th century, Isola del Garda opened its doors to the visiting public 10 years ago. You can reach Isola del Garda via a 10-minute motor launch from Barbarano di Salò or Gardone Riviera. Keep in mind that only groups between 25 and 60 are permitted at any one time but once you're here, you'll find exquisitely manicured English gardens which is where the tour begins. From there, you venture inside the manor to tour a few of the rooms and at the end, the Borghese-Cavazza family themselves offer up refreshments and invite you to taste the local wines and olive oils. What a treat! Here's a short video tour of Isola del Garda. The old port of Desenzano on Lake Garda in Italy with its medieval castle guarding over the village below. At the southwestern shores, you'll find Lake Garda's capital Desenzano del Garda with its spectacular views of the Alps, three expansive beaches, world-class hotels and restaurants, and the hub for all of the Lake Garda nightlife. Don't miss the Duomo aka Cathedral of Saint Mary Magdalene constructed at the end of the 16th century. Inside, you'll find exquisite works by Andrea Celesti, Gian Battista Tiepolo, Veronese—among others. The Desenzano Duomo or Cathedral of Saint Mary Magdalene was constructed at the end of the 16th century. History buffs will revel in the Archeological Museum and the Villa Romana [more Roman history] with its ancient mosaic flooring. If you love medieval architecture, be sure to visit the Torre di San Martino or Tower of Saint Martin and the Castello di Desenzano—an imposing castle looming over the village with stunning views of Lake Garda. Castello di Desenzano or Desenzano Castle stands sentinel above the village below. If you happen to be there on a Tuesday, you'll love the open-air market that has attracted residents and tourists alike since the 15th century! Welcome to the peninsula of Sirmione in Lake Garda, Italy. Among the most beautiful places in all of Lake Garda, Sirmione has been attracting tourists for two millennia. Accessed at Lake Garda's southern shores, this two-mile long peninsula offers panoramic views of the entire lake from a number of vantage points along its coastline. With so many highlights that Sirmione has to offer its visitors, I am only going to feature a few of them and leave the rest of the peninsula for you to discover. 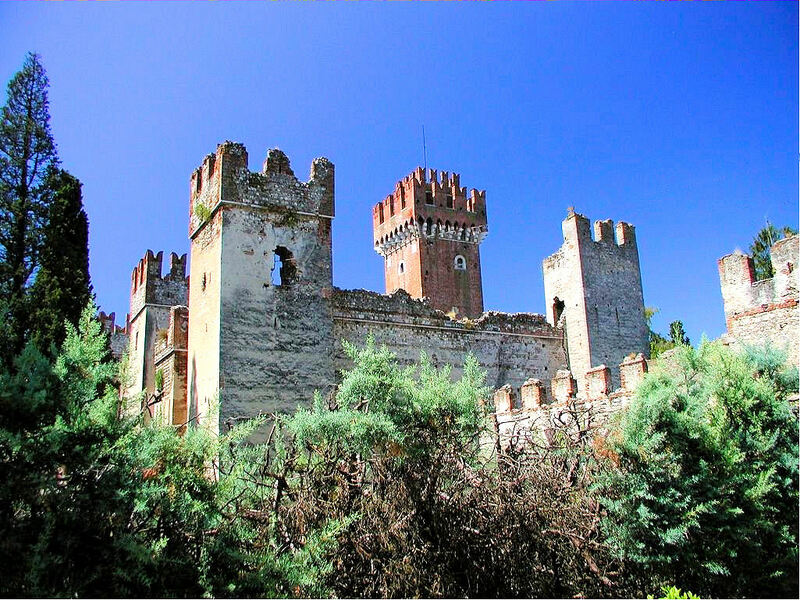 The Castello Scaligera or Scaligera Castle was originally built for the della Scala family (Scaligeri) of Verona. It was later remodeled by the Venetians in the 15th century. On its eastern shores, cross over the drawbridge to the 13th-century Castello Scaligera or Scaligera Castle originally built for the della Scala family (Scaligeri) of Verona and then remodeled by the Venetians during the 15th century. Spectacular views await once you climb up 150 steps leading to the top of the crenellated walls and tower. 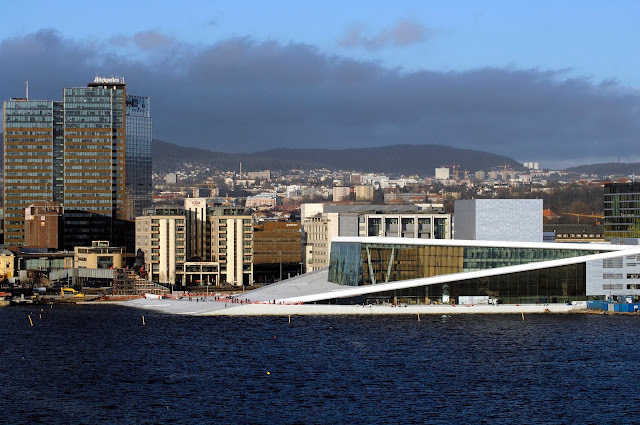 You won't believe the views and the sparkling azure waters below! The Catullus Grottos, named after the poet Catullo, are all that remains of the poet's stunning villa built in the first century B.C. Just beyond the castle, you'll find the medieval village with narrow alleyways lined with charming shops and sidewalk cafés. 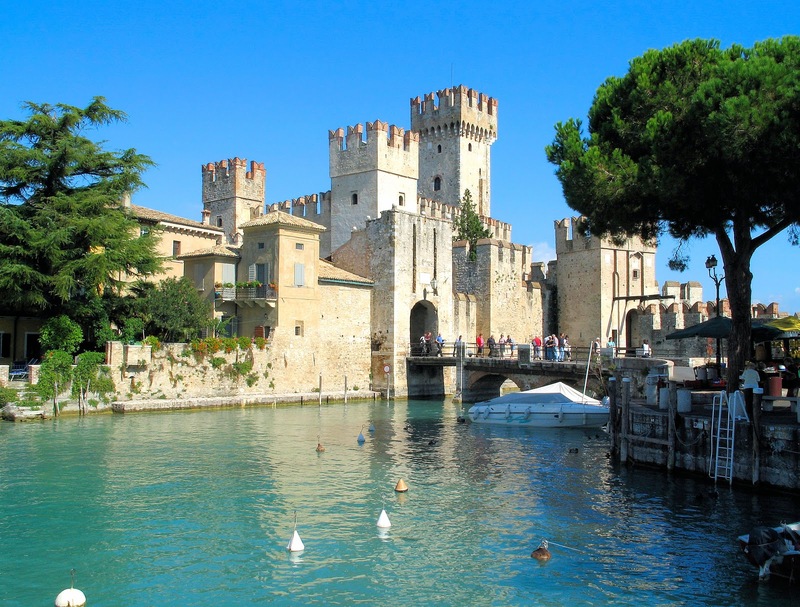 Be sure to visit the Boiola Springs—natural hot springs of sulphuric water—that first put Sirmione on the map; and the Catullus Grottos named after poet Catullo who had a home here—a stunning villa built in the first century B.C. at the northernmost point on the Sirmione peninsula—a reminder of when the Romans first discovered this enchanting land. Pescheira del Garda at the southernmost point of Lake Garda is reminiscent of Venice with its quaint narrow streets and centuries-old canals. Moving east and located at the southernmost point where the Lake Garda's water drains into the Mincio River, Pescheira del Garda is reminiscent of Venice with its quaint narrow streets surrounded by the centuries-old canals replete with picturesque bridges and historic architecture. Lining the streets, you'll find quaint shops and cafés as well. Dominating the village is the 15th-century fortress built upon Roman foundations which originally contained a group of residential buildings surrounded by its turreted walls. Five bastions and other renovations were completed by the Venetians during the 16th century. Lazise is home to scenic ports and picturesque lakefront boulevards. On the eastern shores of Lake Garda, our tour lands in Lazise— home to scenic ports and lakefront boulevards. Towering above it all and located in the Villa Bernini Park, the Castle Lazise was built in the ninth century and eventually landed in the hands of the prominent della Scala family, specifically Bartolomeo and Antonio, as evidenced by the coats of arms adorning two of its entrances. The Castle Lazise Burgtuerme, built in the ninth century, eventually landed in the hands of the prominent della Scala family, specifically Bartolomeo and Antonio. 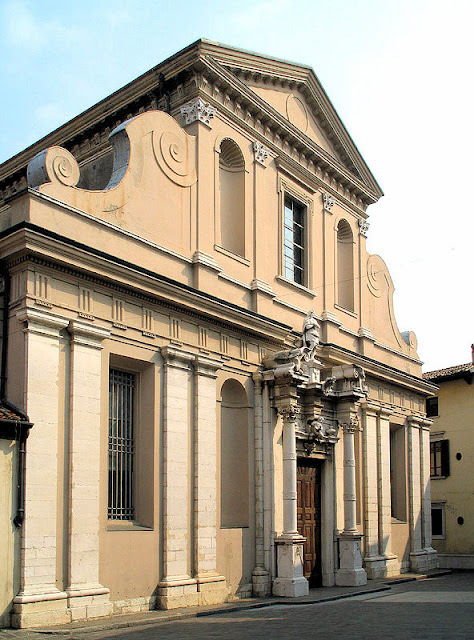 Two churches merit a visit: San Zeno and San Nicolò. The former was completed at the end of the 13th century and dedicated to San Zeno, the patron saint of water and fishing. San Nicolò, completed even earlier during the 12th century, was dedicated to San Nicolò Bari, the patron saint of schools and fishermen. Although its storied past includes being used as theatre, barracks and home, it was finally consecrated in 1953. Be sure to seek out the 14th-century fresco on its northern exterior—"Madonna Enthroned with Child." Lake Garda villages are easy commutes from Verona and Brescia along the A4. From there, decide which of the cities you plan to visit and seek additional routes to travel north along the western or eastern shores. While the A22 will whisk you up the east coast of Lake Garda, I recommend the more scenic route SR249 which hugs the shoreline and allows for many stops along the way. If you're traveling up the west coast, seek out via Republicca to the SP38 or SS Gardesana Occidentale which meander along its western shores. Train service is extremely limited to Lake Garda with trains making stops only in Peschiera del Garda or Desenzano del Garda along the Milan-Venice line. Most of the villages along Lake Garda are connected by ferry service so all you need to do is find your way to one of the villages above and pleasure cruise around the lake for quick stops in all the places mentioned above. That's a wrap of this circuitous tour around the charming resort towns and quaint villages of Lake Garda in northern Italy. As you have read, this region of Italy appeals to the masses with its bountiful offerings of resorts, restaurants, beaches, history and spectacular vistas from nearly every point along the way. Check out this informative eBook on Amazon: Insight Guides: Lake Garda. I hope you enjoyed this introduction to Lake Garda—one of the most picturesque regions in northern Italy. What are you favorite places to visit in Lake Garda? Have I left anything out? Please share your tips and reviews below. Mille grazie y Arrivederci! 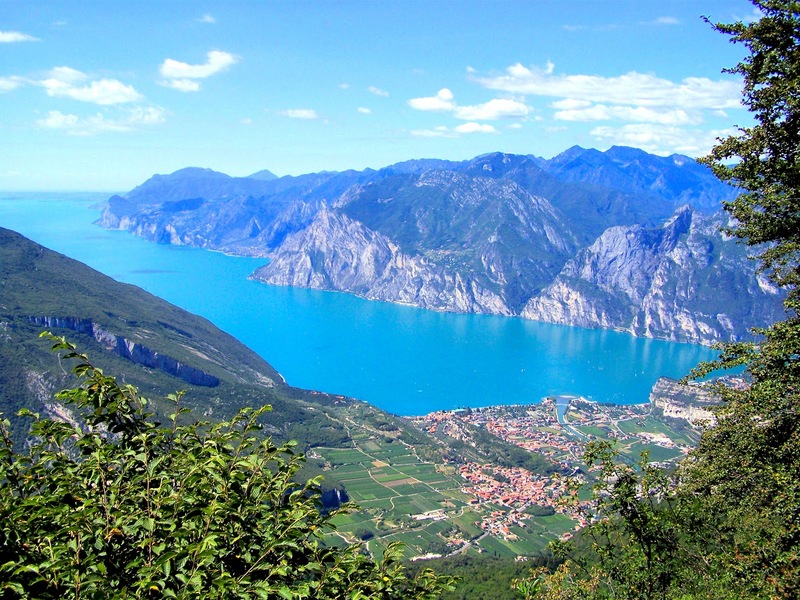 Can't wait to see Lake Garda for the first time next week. We're staying in Verona. This is a great post and your photos have really got me excited for my trip! Magnifico my friend! You are going to love it! 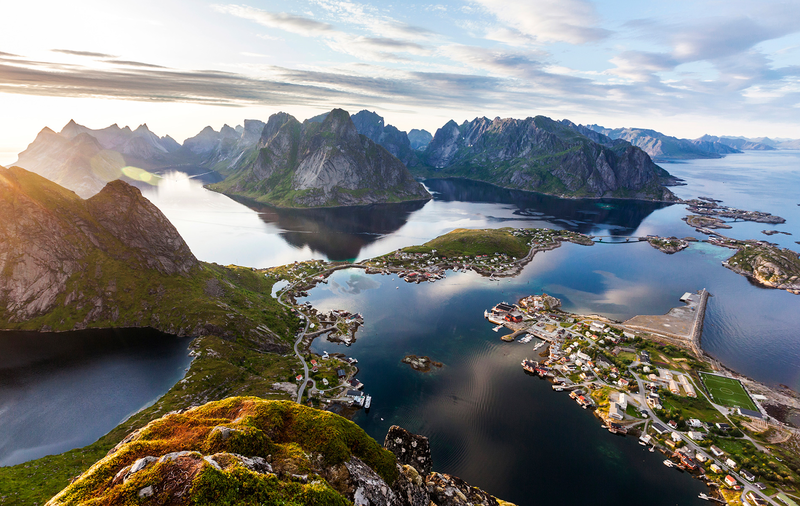 Make sure you rent a car so you can take your time and explore all of these and other villages along the coast. Please stop back and share some tips with my readers as well! Thx so much for stopping by to share your thoughts and I hope you have an AMAZING time and gorgeous weather! The region near the Lake of Garda is wonderful by train too. I went from Milan to Germany some years ago. And.... thanks for your photos and video! 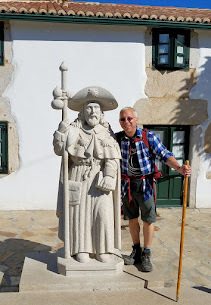 Greetings my friend and thank you so much for you tips for my readers. I bet the journey by train was delightful and full of adventure. I will definitely seek out this mode of travel the next time I am there. Thanks for stopping by! Castles and water - a gorgeous combination! We flew over the mountains at sunset on our way to Venice, an amazing sight, tipped with gold. I'd love to visit via surface, train sounds like a great way to go. Hi there Leslie and thanks so much for stopping by to share your thoughts! I agree...a train is a must but the ferry around the lake sounds like a great opportunity for photographing all of the scenic views of the villages, mountains and the lake itself! I haven't been to Lake Garda but would love to sometime soon. It looks beautiful! I couldn't agree with you more with you! The entire region is sublime! Thx so much for stopping by and sharing your thoughts. I only thought Garda is just a lakeside town! This is a real revelation to me. I think it's worth more than a day trip, maybe an overnight stay? Hi there Ele and thanks so much for stopping by. I am glad you learned something too and now have an entire region to explore instead of a town. Definitely worth an overnight stay as well! Thx for sharing your thoughts! Hi there Marco and boy, am I glad you stopped by to review the article. Thanks for your kind words and for your tips. I really wanted to list them all but as you can see, this article was getting a bit lengthy so that's why I ended with a request to all of you for additional tips. And I thank you! The Lake Garda is Beautiful. We stay in Toscolano in 2006 during a music festival and we fall in love with this city. We love also Lonato's Castle. It's a Castle near Desenzano del Garda on a hill. Did you visit this Castle?? Hi there WYW and thank you so much for sharing your thougths and experiences. The music festival must have been wonderful especially along Toscolano! Sorry, did not see the castle...but I think I could spend a week here next time. So much to see and do! Thank you for stopping by! Certainly a beautiful area, and not well known when compared to Lake Como or Tuscany. We visit here on some of our bike tours, and our guests rave about the superb scenery, great food, and wonderful wines, with the Valpolicella, Bardolino, Lugana and other wine DOCs right nearby. Thanks for putting together such a great travel piece! HI there Kathy and thank you so much for stopping by to share your thoughts and experiences. You really hit the highlights of the scenery, wine and great food! Love it all! You are very fortunate to visit so often. Thx again for taking the time to visit! Nice overview of our beautiful lake Jeff! Your post made me realize I should go there more often now that I'm back in Trentino Alto Adige. Sometimes you need to see familiar places through foreign eyes to *see* them again. Hi there my friend! Thank you so much for stopping by to share your thoughts. I agree, oftentimes, we need to venture outside our worlds to rediscover others nearby. I hope you plan to leave a few tips right here for my readers since you're a seasoned traveler in the region. Thx again Oriana! I think I need to revisit. I have forgotten how beautiful and manyfold Lake Garda is. Hi there Inka!! So nice to hear from you and thanks for stopping by. Yes, another visit is definitely in order my friend! Have fun! Couldn't agree with you more about that "Caribbean blue" color of the water. It's quite stunning and so hard to believe it's that blue. The water must be pristine to swim in. Thanks so much for stopping by and sharing your comments. What an eye-feast! Love these pictures! Hi there Marlys and thanks so much for stopping by! I agree with you...it's a visual feast for the eyes...especially that blue water...truly incredible! nice article. Hope it will bring some more English-speaking travellers to Lake Garda. It is definitely not unknown as some might think - it's VERY well known, but mostly bu Germans. Hi there Peter and thanks so much for stopping by and for your kind words. I sure hope this post does bring more and more English-speaking travelers too because the area definitely needs it. Thx for sharing your insights! Lake Garda and Venice are two of those few places where I want to return every time. Thanks so much for stopping by to share your thoughts! I too, love both and would love to spend a month exploring all of Veneto! Looks lovely!! The photos feel very familiar and remind be of Lake Como and the area around Bellagio. Hi there Leigh and thanks so much for stopping by and for your comment too! Very true about Lake Garda reminding you of Lake Como...all comprise Italy's Lake District as you. The entire region is positively sublime! HI Jeff, Lake Garda looks so spectacular. Your Dolomite post and this Lake Garda post really make me want to pack my back and explore the Italian Alpine region zoon. Really nice photos and narratives. The views are absolutely fantastic! For sure, it's a good choice for a vacation! Thank you so much for stopping by! I couldn't agree with you more, the views make for a splendid holiday of sight seeing all around the lake. It's spectacular! What absolutely stunning pics, Jeff! I've never heard of Lake Garda, but your pic of the bridge with flowers is extremely similar to the shpt I took of the River Po while in Torino. Take a peek at the 3rd pic in this post: http://diversionswithdoreen.com/torino-will-tantalize-you/. Italy is sich a visually rich country. Your post has me longing to go back, and this time ... check out the Lake District. Hi Doreen and thanks so much for stopping by and for your kind words. You're right, the River Po pic is glorious my friend. Indeed, Italy has so much to offer the world and I hope to discover most of it in my lifetime! As if I needed more reasons to visit the Dolomites! Garda looks to be a wonderful place to spend a few days while in the area. Super pictures, Jeff! Debbie, I hear you loud and clear! Me too. I am so happy you enjoyed the post and thank you for your kind words! Hi there Monica and thank for your kind words as well! I have never visited Verona but it's high on my bucket list for sure...I must get there some day! Yes, the ferry is a wonderful way to experience all that Lake Garda has to offer. Thank you for stopping by and sharing your thoughts. This post reminds me why I should visit Italy! Now I'll have to list Lake Garda as part of my italian itinerary. Gotta love those castles! Hi there Mai! Yes, please include Lake Garda in your itinerary! You won't regret it...and don't forget to take the ferries from stop to stop...a wonderful way to see all of the villages and scenery! Thank you so much for stopping by to share your thoughts! Oh but I enjoyed this, Jeff, especially the video tour of Isola de Garda. We holidayed at Bardolino, which I thoroughly enjoyed, then at Torbole the following year. Unprecedented for us, going back, but we loved it so much. The area we missed was Desenzano and the islands, so thank you for that. Lazise is a lasting memory, as is the top of Monte Baldo. Sirmione was too busy for me(early June). The walking north from Torbole was awesome. Thanks for the memories. Hi there Restless Jo and thank you for this wonderful comment! I love to hear about my readers' personal journeys because they add so much more to the article! Can't wait to hear about your upcoming trip and all the new discoveries as well. Thank you for visiting! Hi there my friend and thx so much for stopping by!! Isn't Garda divine? So glad you enjoyed the article!! Fantastic article Jeff.. really very very appreciable!I respect your well-written and thoughtful content. You’ve really hit the mark with your original and bold views here. I agree with your views. Your readers are fortunate to have such interesting material to read. Thank you my friends from Villa Spain ;) . I really appreciate your kind words. Great Blog about Lake Garda. I have lived 12 years at Lake garda and i'm never getting tired of this fantastic place. We have everything Lake's, Moutains, Valleys, Flora , Fauna, all kind of sports. But if you would like to see some more pictures about Lake garda and rest of Italy visit www.made4italy.com but I don't have a blog i leave that to the pro's. Thank you so much for your kind words Thomas! I couldn't agree with you more! !